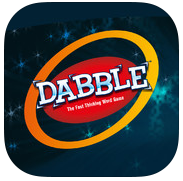 Dabble is a great learning tool for kids – and fun for the entire family! At the core of the game lies a fast-paced word game that will help children develop many useful skills – including vocabulary, spelling, and quick thinking. Posted on October 9, 2013, in Tutor Time Apps. Bookmark the permalink. Leave a comment.